Located in the city of Lauderdale Lakes, Florida, Henderson Behavioral Health is an outpatient treatment organization for which provides recovery services, housing, and behavioral healthcare to people of all ages dealing with mental health issues. The center specializes in treating people looking to overcome co-occurring mental health disorders while also offering substance abuse treatment options. The facility, which had its name changed from The Broward Mental Hygiene Clinic to Henderson Clinic of Broward County in the early 1960s, was founded in 1953 and treats more than 30,000 persons a year in the state of Florida including 6,000 adolescents under the age of 18. The facility has over 700 members of staff consisting of clinical and psychiatric social workers, clinical psychologists, and consulting psychiatrists. 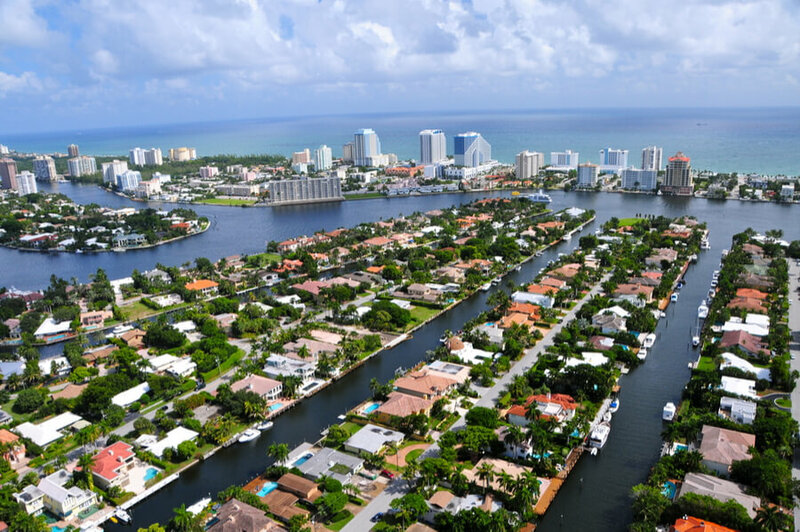 Additionally, the organization provides services in various locations in South Florida including Tamarac, Lake Worth, Hollywood, and Fort Lauderdale. The organization’s facilities offer evidence-based treatment and utilize a holistic approach to treatment which means that special attention is given to the whole person, not just the illness. Individualized treatment services are part of each program and the organization offers a myriad of treatment programs including outpatient treatment for adults, children, and families, case management, supervised housing services, and a 24/7 crisis program. The hospital offers an outpatient and psychosocial rehab treatment program for adults dealing with co-occurring mental health and substance use disorders. Within the structure of this program, the organization also provides counseling services for veterans and their families and specialized programs for older adults looking to overcome mental illnesses. The psychosocial rehab program incorporates the Role Recovery Model treat mental health issues and clients are usually involved in various models of therapy, support groups, nursing and psychiatric assessments, and medication education. The organization offers housing options for persons seeking recovery and this includes licensed residential treatment facilities which provide treatment in supervised apartment and group home settings. The residential facilities provide nursing services, self-care education, and participation in therapeutic activities. The housing service program also incorporates independent living and homeless service programs. Henderson Behavioral Health costs vary greatly depending on the type of treatment and level of care a client requires. Although, the facility operates on a sliding scale basis which means that payment for treatment is greatly dependent on the household income of the individual. Clients are encouraged to contact the facility for more information on payment and admission. The facility is fully accredited by the CARF (Commission on Accreditation of Rehabilitation Facilities). The facility places a strong emphasis on the importance of family involvement in speedy recovery and as such, offers a family program in addition to other therapy options offered. In addition to the resources offered in education and therapy, the facility also offers a special program called Veterans in Counseling to Obtain Recovery (VICTORY), which is specially designed to help ex-military members in recovery, develop proper job searching skills. In entirety, the facility offers comprehensive and well-structured programs in an established and trusted health care environment, to clients suffering from mental illness and addiction issues. Client seeking treatment at a facility, which provides flexible services to individuals in need of outpatient care for dual diagnosis will find Henderson Behavioral Health to be a good option.